A teacher in Woburn has been put on leave after allegedly using drugs on school grounds. A high school teacher in Woburn, Massachusetts has been placed on leave for allegedly using drugs in a school bathroom. Woburn Superintendent Matthew Crowley said a teacher was placed on paid administrative leave on Wednesday after school officials were informed of alleged misconduct. A joint investigation by the school and Woburn Police uncovered alleged drug possession on school property. No students were involved and school officials said there is no reason to believe that any students were placed in harm's way. 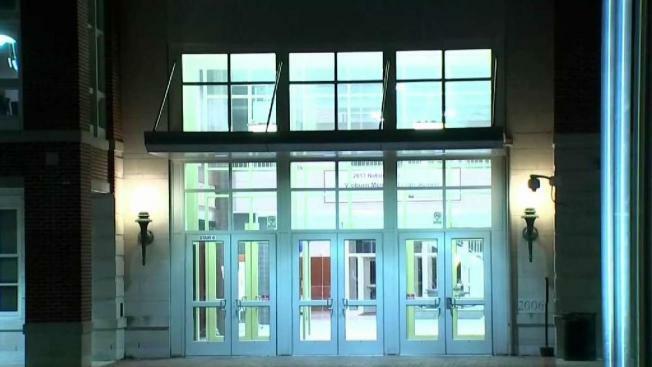 A source told NBC10 Boston that the female teacher worked at Woburn High and was allegedly using drugs in the women's bathroom during school hours. She reportedly left her bag in the bathroom, and crack cocaine and her identification were found inside. Methamphetamine was also found in her car. Area residents were surprised to hear of the incident. "It's unfortunate that they're using at school or at least bringing it into the schools but that's today's day and age," said one Woburn resident. "That's the reality, the harsh reality." "Drugs are a problem so, it's unfortunate," added another woman. "All I can think is that it's just a good idea that she is not working right now." The teacher has not been charged. School officials said the situation was determined to be an administrative/employment matter. "Due to the fact that this is an ongoing investigation involving a personnel issue, we are not at liberty to discuss any further details," Crowley said. "However please know that we take allegations of any alleged wrongdoing seriously, and our priority is always on providing students with a safe and appropriate educational environment."